All of the Salish Sea’s marine mammals—from sea otters to orcas, pinnipeds to porpoises and all the great whales—are federally protected. In collaboration with The Whale Museum, SeaDoc makes crucial contributions to conserving these animals by tracking and diagnosing their diseases, and by responding when they turn up stranded on the beach. This year, the Whale Museum/SeaDoc partnership was among only three entities in Washington State awarded federal funding under the John H. Prescott Marine Mammal Rescue Assistance Grant Program. 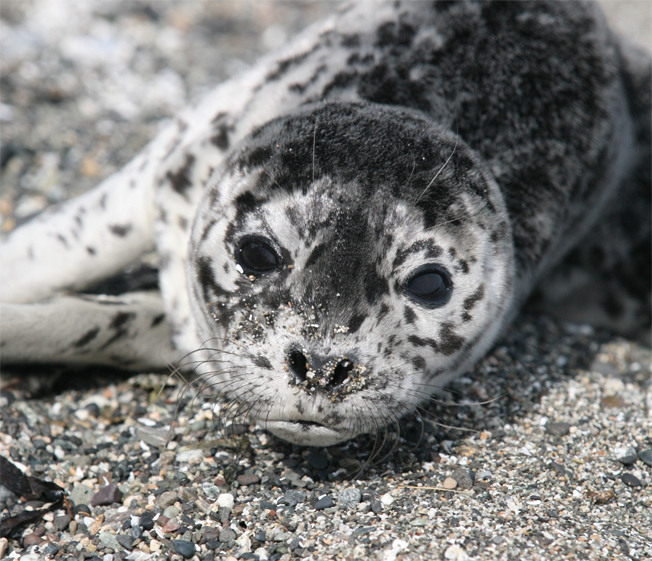 These funds will allow us to continue to respond to marine mammal strandings and to do the research necessary to establish what causes them to end up stranded in the first place. In the past, SeaDoc, the Whale Museum, and a whole cadre of volunteers have worked to unravel mysteries associated with the impact of Navy sonar on whales, to determine whether zoonotic diseases like brucellosis that effect seals also pose a risk to humans, and to gather other data critical to marine mammal conservation. Teamwork in research and wildlife rescue activities increases our effectiveness, while success at raising public funds to supplement private support allows SeaDoc to expand our mission to restore the Salish Sea. And it’s all good news for marine mammals!